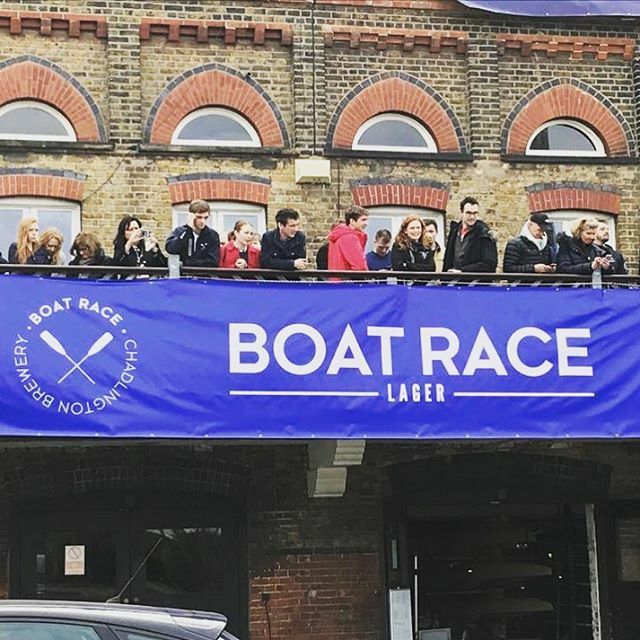 Our Boat Race lager has been getting out and about at the early Boat Race events ahead of the main Men’s and Women’s Boat Races this coming Sunday. On Saturday 23rd March the Brew Crew were all supporting the Oxford Lightweight Rowers down on the Thames at the London Rowing Club. Boat Race lager sold out in the bar and even better than that, Oxford won the race! Then on Sunday 31st March the Oxford University Women’s Lightweight Rowing Club had their race and also won – incredible stuff. Huge congratulations to both teams and let’s hope it’s a good omen for this coming weekend. We don’t normally like to pick sides…but we have to support Oxford as Chadlington Brewery is now known as The Oxford Beer so…come on Oxford!